If you’re thinking of adding copywriting to your toolbox, you’ll be glad to know that copywriters are some of highest paid and sought-after writers in print and online with opportunities for work everywhere. Walk into a store; there’s copywriting on signs, brochures, and product boxes. Watch a commercial on TV; the script is copywriting. Visit a website; it’s copywriting on that pop-up asking for your email address. And the last few decades, the explosion of technology has created dozens of new categories of copywriting. Since copywriting is essential to so many aspects of business, you’ll be in high demand for ongoing and well-compensated work once you’ve mastered the art and science of impactful copywriting. It all sounds great, but first, it’s important to decide if it’s your cup of tea. So, what is copywriting? 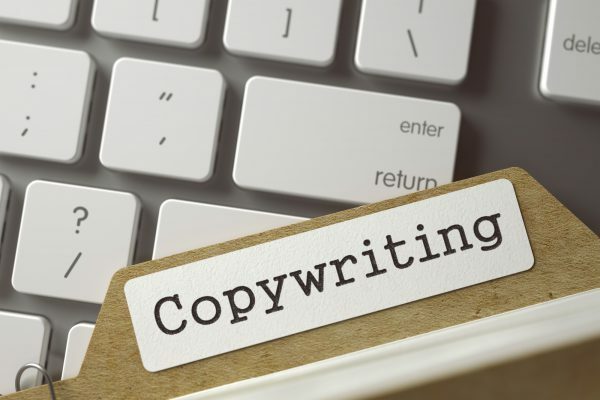 Copywriting is copy intended for creating excitement about sales promotions, raising brand awareness, and cultivating interest and a connection with an audience. The purpose of copywriting is to inspire people to buy a product or take an action that brings them into a company’s list for future promotions. There’s the traditional copywriting that you grew up with, like commercials and print ads. However, as the internet, social media, and technology have grown, the varieties of copywriting have expanded along with it. But before you begin honing your copywriting skills, it’s helpful to understand the most common copywriting categories so you can choose your niche. Sales copywriting is the most widely known form of copywriting. Copy for sales includes advertorials – ads in print or online that look and read like an article, text on advertisements online and off, product and category descriptions for online stores or catalogs in print. Great sales copywriting is informative, creative, and persuasive. If you have a knack for tapping into the needs of the buyer and communicating a product’s value without sounding “salesy,” then you’ve got a bright future in sales copywriting. SEO Copywriting is content creation related to a keyword or set of keywords to achieve a top ranking in search engine results. This type of copywriting comprises of informative and entertaining articles that aim to be highly valuable since search engines favor pieces that are popular. A less promotional but in-depth style of copy is technical copywriting. Technical copy includes industry guides and white papers that detail a business’s findings, research, position, or how a product works. Typical fields for technical writing are government, politics, science, environment, health, finance, and marketing. If you’ve seen an episode of Mad Men, then you understand creative copywriting. Creative copywriting consists of scripts and jingles for commercials on radio, TV, and the internet. Creative content is what sang to you what “the best part of waking up” was and begged to know, “Where’s the beef?” A creative copywriter understands the buyer’s mindset psychologically while being witty enough to create slogans quickly. Also known as content marketing, web content isn’t always called copywriting. However, since it requires the skills of a good copywriter and its goal is to create sales, it deserves mention. Web content includes blogs, social media posts, info-taining articles, and scripts for online videos. Great web content combines great sales, SEO, creative, and technical copywriting. It differs from other copywriting in that it avoids sounding promotional and seeks to build a connection with the audience. Web copywriting aims to draw consumers in and engage them so they, hopefully, purchase products later on. Though copywriting began in print, digital copywriting has massively expanded with internet use. Following is a list of the wide variety of copywriting in demand online and in print now to better understand where you can seek work. As you can see, copywriting won’t be disappearing any time soon as it’s employed everywhere. Now that you’re acquainted with the different uses of copywriting, let’s discuss what really matters. What makes terrific copywriting? It would take an entire course to clearly outline what makes compelling copywriting (and taking a course is highly recommended), but it can be boiled down to these common characteristics and skills. Copywriting that inspires and persuades identifies with the audience, has a headline that commands attention, utilizes powerful words, is clear and direct, communicates the value of the product to the buyer naturally, and sizzles creatively. To conclude, if you’re a novice copywriter or dreaming of becoming one, there’s an unending plethora of copywriting jobs available in print and online. Once you’ve selected your area of interest and mastered the craft of impactful copywriting, you will enjoy a lengthy career that’s creative and lucrative. Dina R Writer, life coach, and yoga instructor with 10+ years experience writing online business, article, and newsletter content. Articles have been syndicated and featured on MSN Lifestyle. Niche specializations and experience in dating, relationships, yoga, fitness, and healthy living.